Cornish microbrewery has delivered its first casks since its expansion. The Driftwood Spars Brewery in St Agnes has spent the past few months developing the site at Trevaunance Cove to expand production and capacity in a growing market. The first delivery, a cask of Bawden Rocks and a cask of Lou’s Brew, were delivered to The Seven Stars in Falmouth. 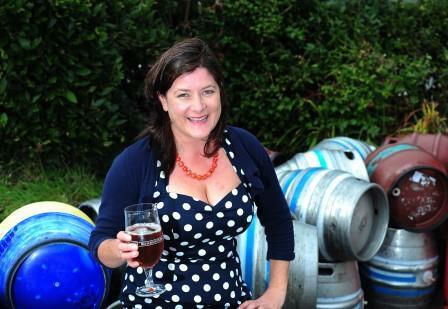 Brewery partner, Louise Treseder, said: “This feels like a really momentous occasion for The Driftwood Spars Brewery and we are delighted that The Seven Stars in Falmouth is our first cask customer. “Many beer drinkers know our beers, but we have been largely limited to selling cask beers in the Driftwood Spars pub itself. Treseder has gone into Partnership with Head Brewer Pete Martin to grow and develop the brewery over the next 2 years. They were awarded funding through BIG and intend to create 2 new jobs as well as secure Treseder and Martin’s future in the world of brewing.